Speaking intelligently and writing effectively are two of the most important goals in our homeschool. The Power in Your Hands: Writing Nonfiction in High School, 2nd Edition is helping us accomplish the latter. We received the long-awaited set for review from Writing with Sharon Watson. In the past we have reviewed other curriculum by Sharon Watson and loved it! In our set we received both the teacher guide and the student book. The writing curriculum was designed with high schoolers in mind. I had my almost fourteen year old daughter work her way through the first few chapters. There are twenty-three chapters in all. I love, love, love that the teacher’s guide gives you the contents of the student text (the chapters) and how many days each chapter. Upon introducing the material to her, we had the usual mumble grumbles about another writing book. However, once she got started with it, she actually enjoyed it!! Yes, I say actually because, well, she hates writing. She loves to read but loathes writing. After the first few lessons she wasn’t so grumbly anymore. And by the third chapter she was getting her book out on her own to get started. I didn’t have to coax her into anything. No begging. No pleading. No bribing. She enjoys it! I love this teacher’s guide. Some curricula claim to include a teacher guide, when in fact it is more of just an answer key than a guide. This book is true to its claim. 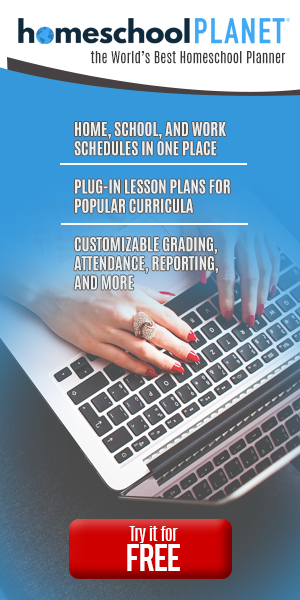 Grading grids for every assignment (These make it super easy to grade because both you and the student know what is expected!) *side note* this program doesn’t just grade on ability, it grades on effort as well. Tips on how to make the program multi-sensory. You can make it fun no matter your child’s learning style! There is so much I could write about this! The teacher’s guide is so comprehensive that it took me a few days just to get through the instructions, the hints/tips for different things, and read through the first few chapters. Having said that, it is in no way overwhelming or unclear. There’s just a lot to it! Hi, Jeniffer! I can’t tell you how impressed I am that your daughter made it through six chapters of The Power in Your Hands in six weeks. She’s a good worker! Thank you for your lovely review and for coming back for more after reviewing Illuminating Literature. God bless your growing family and your new school year.